The Ulsterman arrived in New York on a high after signing off with a sensational seven under 63 in the St Jude Classic on Sunday night. Tied for seventh place, his best finish this season, McDowell said: “It's always good to have a confidence booster ahead of next week. I've been playing well for a while. It's nice to get the numbers. "It's my best finish of the season which is key, you know, you like to get some rewards for how you're playing and nice to post 63 on the weekend. "Momentum's everything in this game, we know that and 63 today will do nothing but boost my confidence." McDowell didn’t drop a shot all day at TPC Southwind but was even happier with his long game after driving the ball arrow straight for the first time this season. 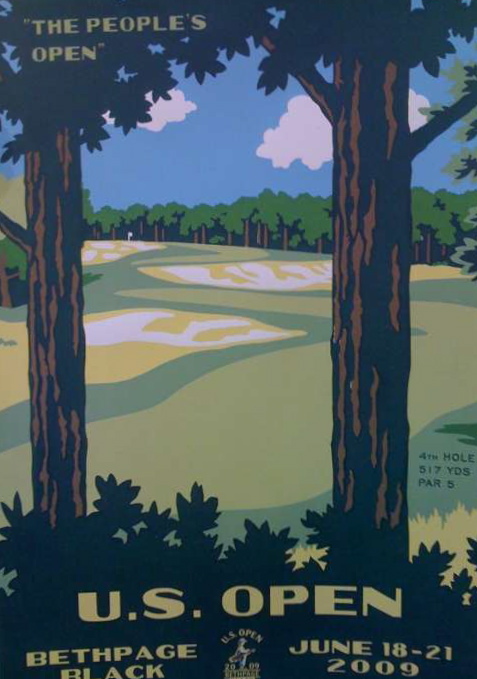 Set for a tough driving test at Bethpage Black, he said: "I drove the golf ball better today and that's what I haven't been doing. I've been driving the golf ball awful and that was one of the strengths of my game. "I put it in play more often today and I reaped the benefits. My iron play has been really quality lately and I'm giving myself more chances." McDowell has played in three US Opens in his career so far and never missed the cut. On his debut at Pinehurst in 2005 he was tied 80 but finished 48th in Winged Foot the following year and 30th in Oakmont two years ago. His short game has prevented him from taking on the top dogs but he believes that if his long game is on song, he can put himself in position to challenge over the weekend. He sad: "I heard it's going to be long, tough and you've got to be driving the golf ball really well. I'm not one of the longer hitters but I'm also not one of the shorter ones, kind of in the middle of the pack. Realistically he knows that Woods and Mickelson will be tough to beat on the course where they finished first and second in the US Open seven years ago. Pointing to Mickelson, who was signing autographs nearby, he said: "That guy over there, Mickelson and with Tiger playing so well, I think the atmosphere is going to be ridiculously good. Mickelson had five bogeys and a triple in a final round 75 to share 59th in Memphis and confessed: "I need to work on my putting." 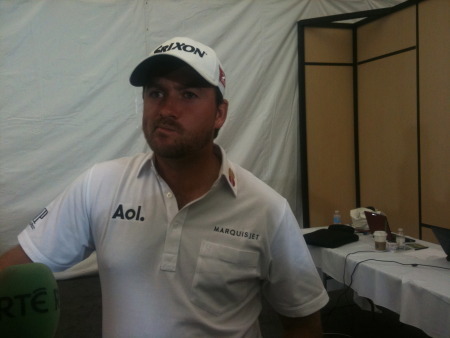 Graeme McDowell has turned off the TV so he can take out Tiger Woods. The Ulsterman reckons that it will take a non-American to stop the world No 1 romping to his 15th major victory at Bethpage Black this week. And he’s decided that he will have a better chance of pulling it off if he doesn’t watch or listen to the Tiger talk on US TV. McDowell said: “They build him up to be unbeatable over here and that's why no-one does beat him over here. That's why historically, it has only been international players who have beaten him - the Padraig Harringtons, the Darren Clarkes of the world. “No disrespect to the Golf Channel. I watch it a lot but I don't watch it on major weeks because A, they will tell you how you can't get around this golf course and B, they will tell you how unbeatable Tiger is. So there’s no real point in watching it.